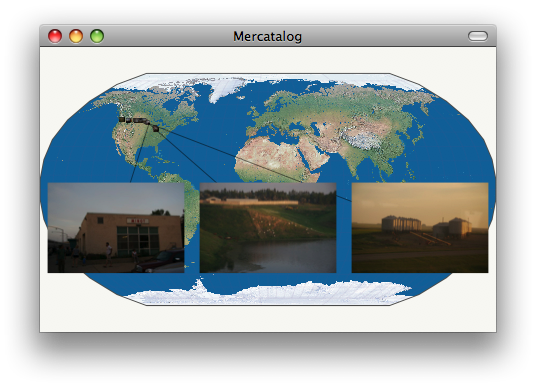 IMPORTANT NOTE: Mercatalog has been discontinued, and is no longer being actively developed. Its future is uncertain; someday we might bring back a new product inspired by some of the same underlying ideas. To discuss this decision, or for more information, please visit the official announcement on our blog or contact us via our support email. Find photos right where you took them. 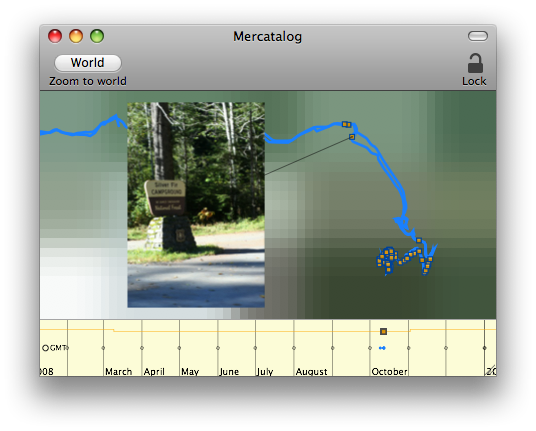 Mercatalog hides sophisticated geotagging algorithms behind a completely visual interface, helping you easily match your photos up with your GPS tracklogs. When you're done geotagging (it doesn't take long! ), export as a KMZ file for viewing in Google Earth, or drag out copies containing EXIF location metadata. 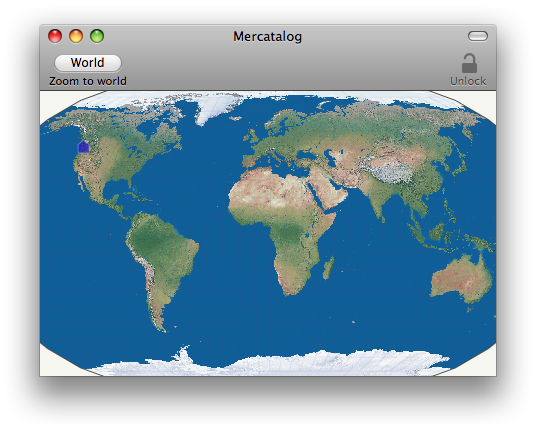 Mercatalog is discontinued. You may still download v1.0.1 to see what it was like, but do NOT rely on it as a photo library. See important note above. Universal binary, Mac OS X 10.5 Leopard required. Just drop your photos and tracks onto the map. Drag photos to geotag or fine tune. View your photos on the map.